An opportunity to have tossing Yee Sang session with international hotel and well known local store this year. Thanks to Hyatt Regency Kinabalu and Pick N Pay Malaysia for having all of us! We had a lot of time catch up with each other. 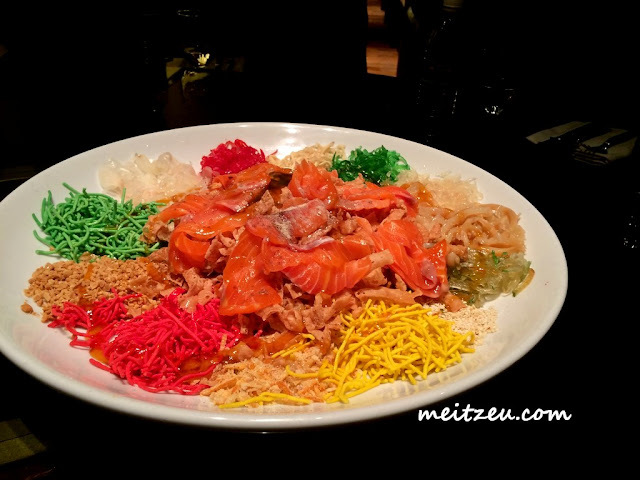 Yee Sang used to be traditionally served on the 7th day of the lunar New Year but these days, it’s common to have this dish anytime during the 15 days of celebration and before lunar New Year as well! 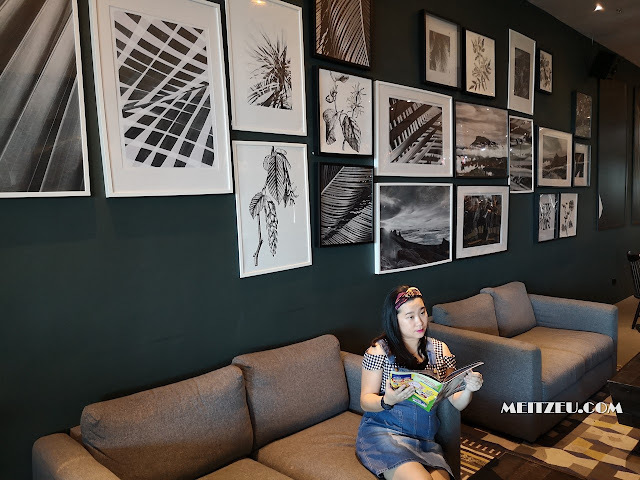 Just check with the local stores and hotels in Kota Kinabalu for availability. 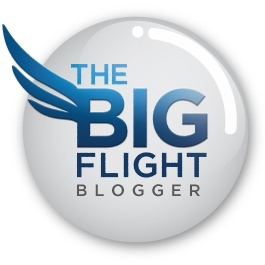 In fact, I think this year would be a year that I had several times of tossing with my family, friends and colleagues! 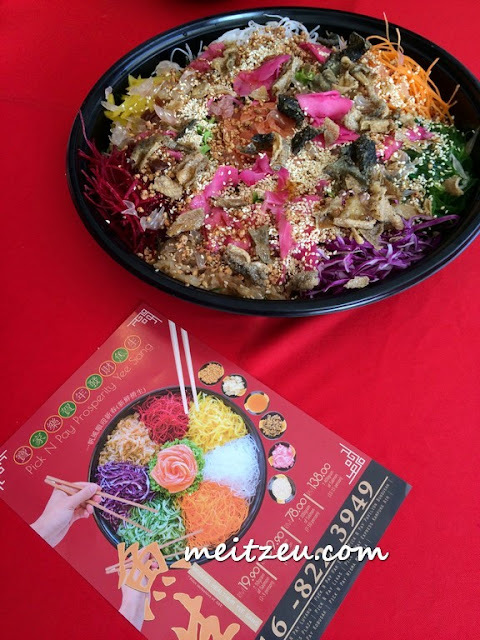 I do love tossing Yee Sang, where the colours that made of various vegetables and snacks just made Yee Sang an auspicious and meaningful part of Chinese New Year! 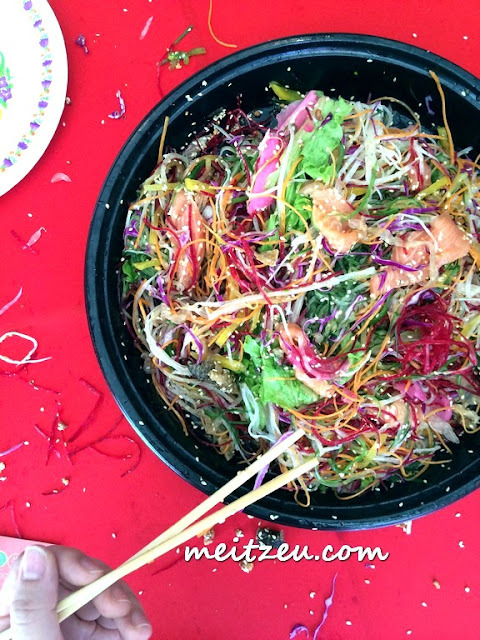 And of course, the taste of Yee Sang need to be delicious and raw fish need to be fresh too! 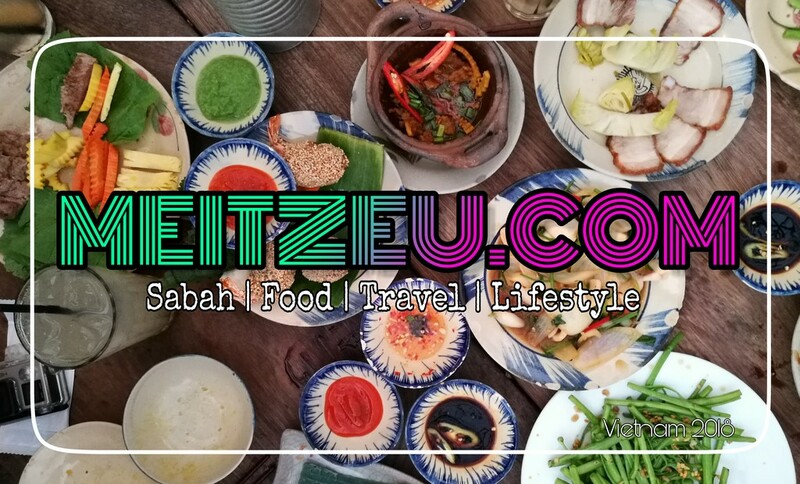 Price start from RM 19.90 nett (2 person), RM39.90 nett (4 - 6 person), RM79.90 (7-10 person) while RM138.00 nett (11 - 15 person). It was my second to have their Yee Sang and first was also this year during my planned Annual Dinner 2016 for my office, the whole office were happy with the night. Most of it were as planned and maybe 10% reserved for unexpected ones. 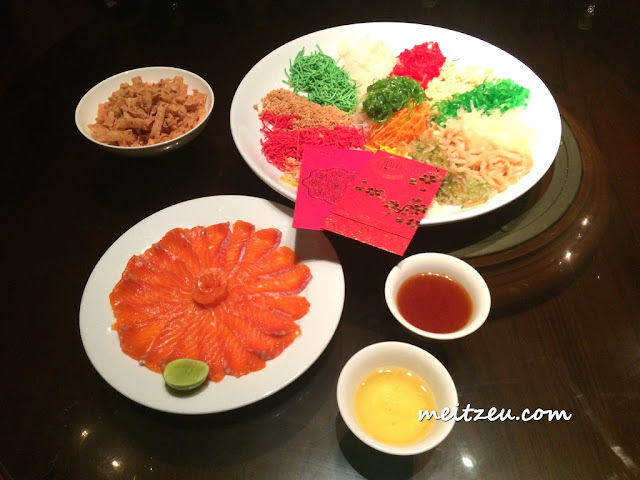 Each colour and side dishes represent different auspicious meaning, from wealthy, healthy, luck, ambiances and anything that bring the luck to all of us. 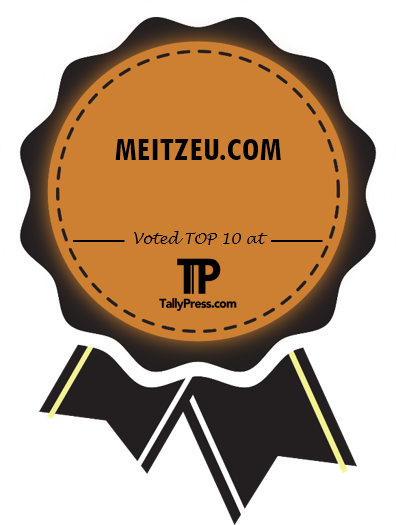 Therefore, the higher you tossed, the prosper you are! But wait a minute!! We need to said out loud auspicious words. Tanjung Ria Kitchen brought to us by Hyatt Regency Kinabalu. The offer is valid for a limited time only. The prosperity Yee Sang is available for order from 28th January to 22nd February, 2016 while stock last. The Chinese New Year buffet is available on 7th February to 8th February, 2016 for lunch and dinner. 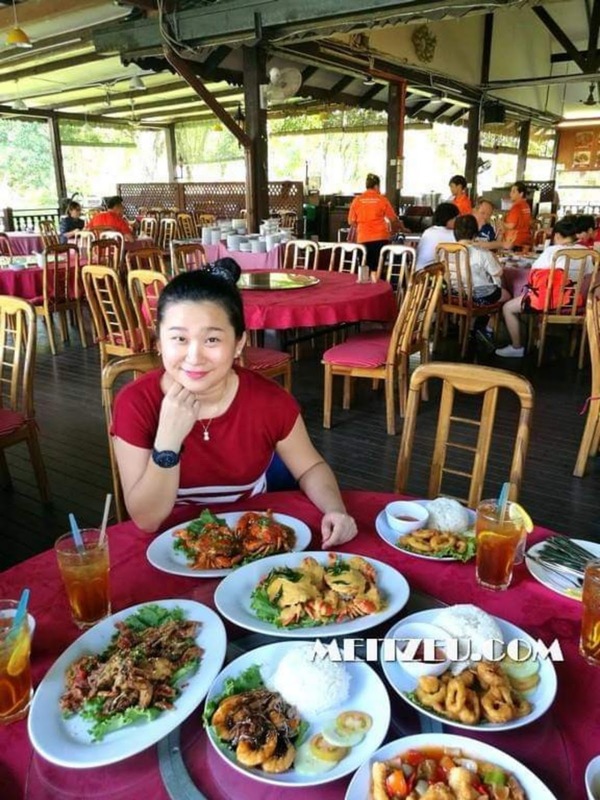 Lunch is priced at RM100.00.00 nett per person while dinner is RM188.00 nett per person on Chinese New Year Eve and RM 145.00 nett per person on Chinese New Year Day. Children between 6 to 12 years enjoy 50% off. 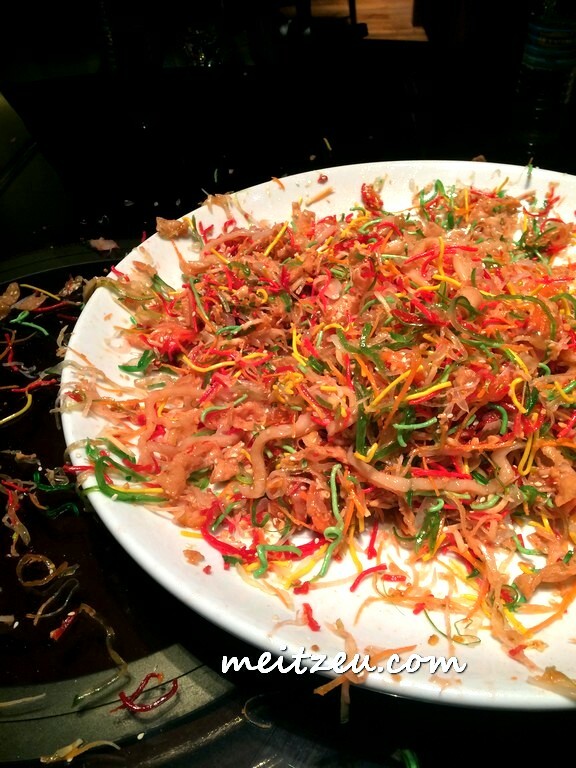 Yee Sang always taste sweet and sour with the sesame oil, plum sauce and maybe hint of lime. 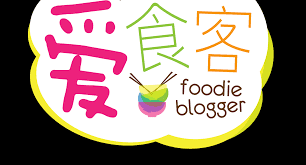 Same goes to Tanjung Ria Kitchen. 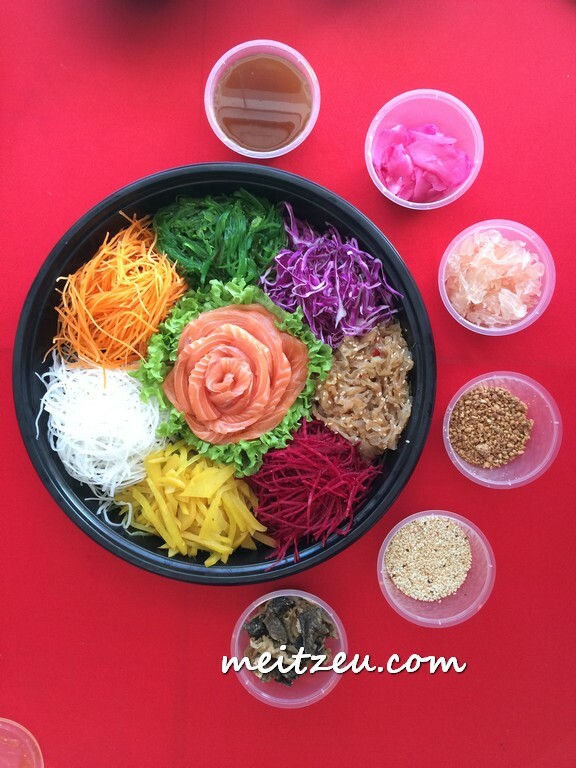 Available for dine-in or take away at Tanjung Ria Kitchen, choose from three different variations to tickle your taste buds: Yee Sang with tuna is priced at RM98.00 nett (small) and RM138.00 nett (large) per serving, Yee Sang with salmon is priced at RM138.00 nett (small) and RM195.00 nett (large) per serving while Yee Sang with abalone is priced at RM 288.00 nett (small) and RM 388.00 nett (large). Good news for Chinese New Year guests, aside from the Chinese New Year buffet (8th February to 9th February, 2016), hotel guests can also come and witness the mesmerizing acrobatics of the Yick Nam Lion Dance Troupe on 9th February starting at 8.00 am. The public is invited for this performance from a former world champion lion dance troupe.